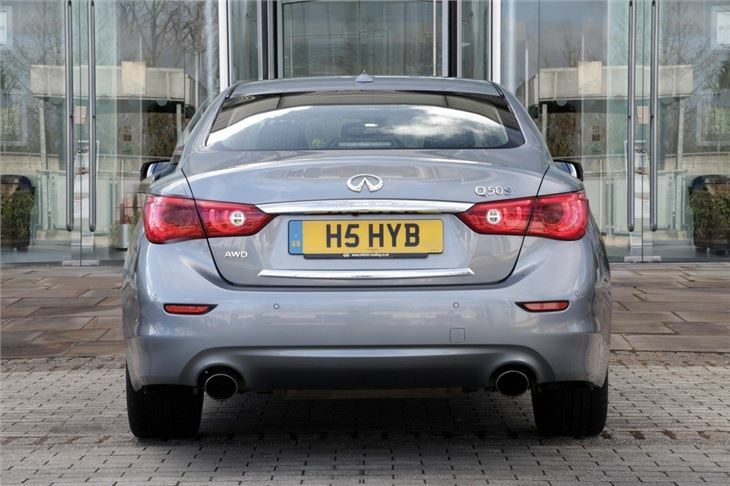 Offered with a Mercedes Benz 2.1 litre diesel engine with impressive 400Nm torque. Good claimed economy. Hybrid version offers strong performance. Vague handling. Diesel engine is noisy. Slow shifting seven-speed automatic. 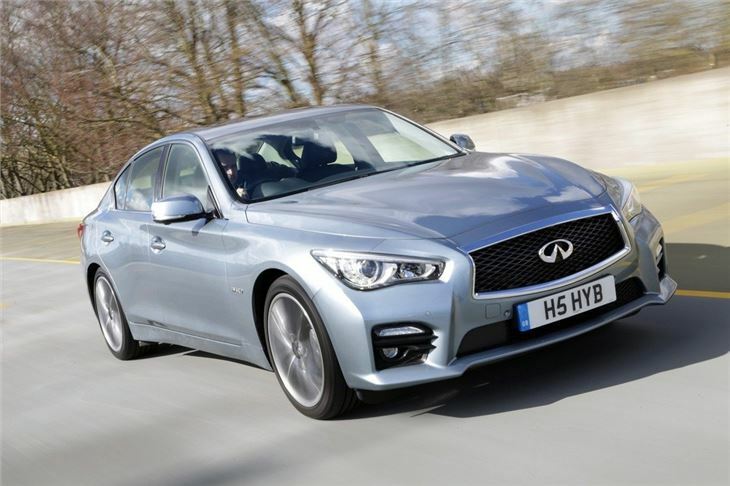 Infiniti has struggled to make an impact in the UK. 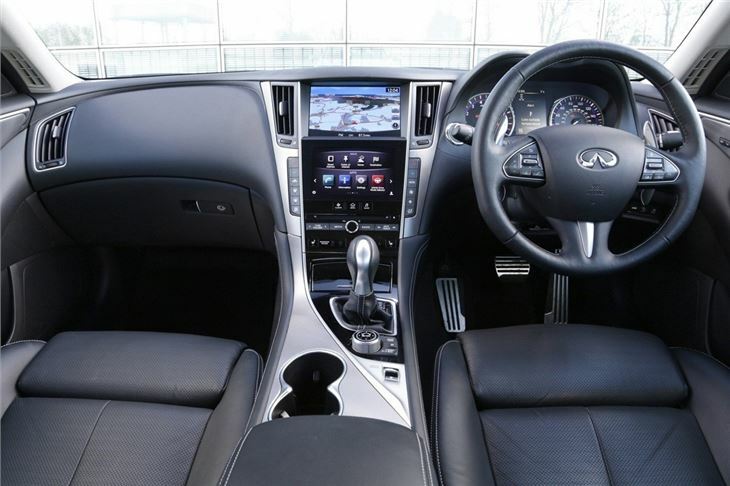 The luxury brand from Nissan was billed as a rival to Lexus, but has so far failed to ignite much interest. 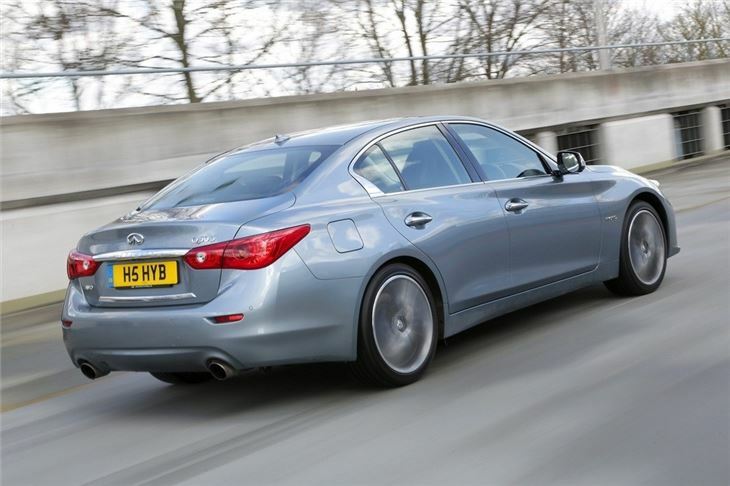 Show the average person on the street a picture of an Infiniti and they're unlikely to recognise it. In terms of price, the Q50S Hybrid is £40,000 - around the same as a BMW ActiveHybrid 3 - and it comes well equipped as you'd expect with pretty much every bell and whistle you'd want. 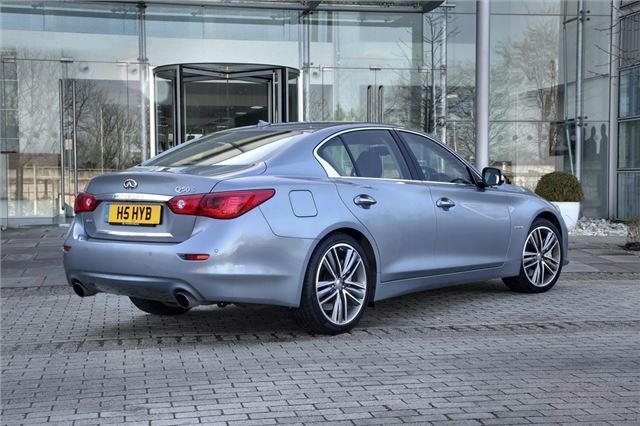 Opting for the all-wheel drive model adds a further £1625. 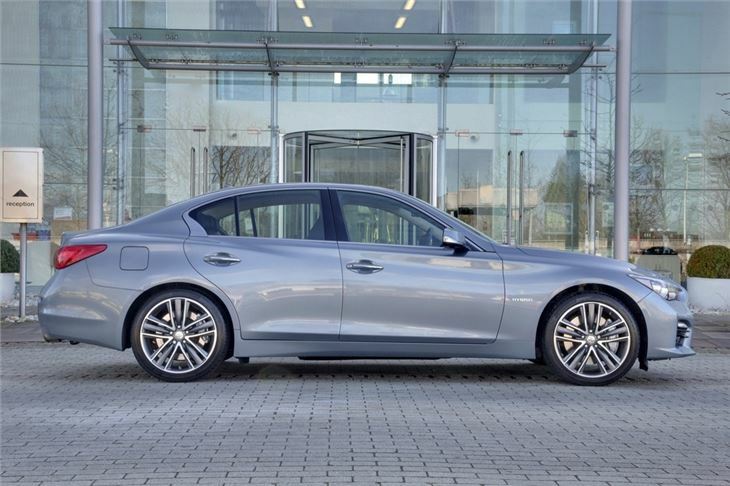 The 2.2d on the other hand starts at £27,950 - slightly cheaper than an equivalent Audi A4 and considerably less than a Mercedes-Benz E-Class with the identical engine. 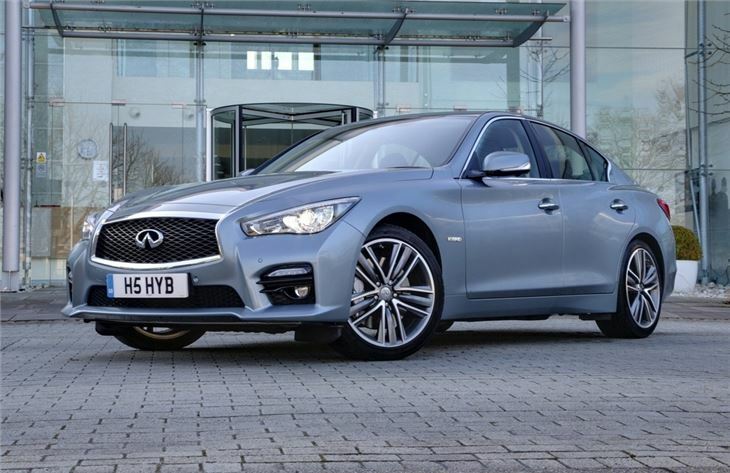 The Q50 is a decent effort by Infiniti and certainly an improvement on the G saloon it replaces, but there's little that makes it stand out and nothing to really recommend it over a competitor car.